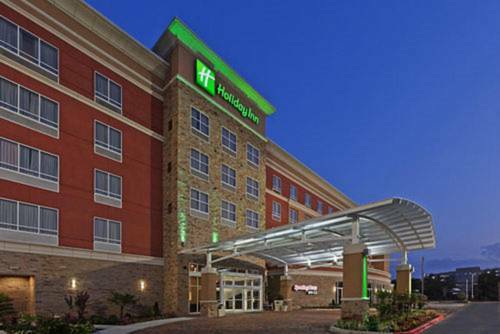 The Holiday Inn Westchase is excited to be your premier hotel while staying in the West Houston area. You will find that service and valuable amenities are just what you are looking for and expecting while away from home. Enjoy the dining experience of the Westchase Bar & Grill located lobby level. Find a casual dining experience featuring larger than life televisions to enjoy sporting events from around the world. While enjoying your favorite sport, you can take advantage of our complimentary WIFI and get some last minute work done as well. If you are looking for some things to do while you are in Houston, you can find things for the whole family to enjoy. Visit the Galleria, Chinatown or downtown Houston where you can catch an event at Minute Maid Park or at the George R. Brown Convention Center and a short drive from NRG Stadium. Our business partners such as ABB, CGG, CDK, Emerson, Halliburton, Jacobs Engineering, Monsanto, Schlumberger and Zachery will find our hotel in close proximity to their offices and are able to take advantage of 2600 square feet of function space located lobby level. Fun American fare, Texas specialities, and healthy choices in a relaxed environment, while you enjoy your favorite sporting events or shows. Let our bartendar serve your favorite beverage while you watch your team win! Or enjoy your beverage and meal on the patio. Our beautiful Westchase Ballroom offers drop-down LCD projectors and screens and the best sound system in the area. The prefunction space offers additional space for exhibits and registration. World-famous upscale shopping mall and restaurant area, including: Nordstom, Saks, Neimann Marcus, Banana Republic, Armani Exchange, Coach, Tiffany's, Prada, Gucci, Louis Voutton, Del Friscos Steakhouse, Cheesecake Factory, Arcodoro Italian Bistro, etc. Visit the Museum of Natural Science, the 3rd most visited museum in the United States! Also in the area: Museum of Fine Arts, Children's Museum, Holocaust Museum, and many more! Restoration Hardware, Pottery Barn, Gap, Talbot's, Fleming's Steakhouse, and Escalante's Tex Mex! Macy's, Coach, Dillard's, Fossil, Victoria's Secret, California Pizza Kitchen, Cinemark Theater, Ice Skating, Perry's Steakhouse, etc. MD Anderson Cancer Center, Baylor College of Medicine, Texas Women's Hospital, Children's Hospital, Memorial Hermann Hospital, Methodist Hospital, St. Luke's Hospital, VA Hospital, etc. Houston has the 2nd most live theater seats in the country! Largest church in the country.